Fishers and fisher associations, private sector groups and NGOs warn political intransigence is compromising thousands of Belizean jobs, a 100-million-dollar industry and undermining sustainability. When the Ministry of Fisheries announced the formation of a task force to “reduce the harmful impacts of gillnets” in February 2018, it was framed as a serious step to address a long-standing issue. But time has only served to drown any hope that the Government is prepared to take leadership in protecting the more than 3,000 Belizeans who depend on sports fishing jobs and the more than 2,547 commercial fishers who do not use gillnets to fish and whose livelihoods are compromised by gillnet fishing. In the past nine months, the task force has only held one meeting since members were appointed. At that meeting, the Fisheries Administrator moved that the composition needed to be changed. Since then, there have been no subsequent meetings and despite repeated requests, no confirmation of the new members expected to participate on the gillnet task force have been publicized. Acting as the Belize Coalition for Sustainable Fisheries, the Belize Federation of Fishers, the National Sports Fishers Association, the Belize Game Fish Association, Turneffe Atoll Trust, MarAlliance, and Oceana in Belize, asserts that this inaction and lackadaisical approach is a gross disrespect to the 3,000 Belizeans who are employed in the sports fishing sector as well as the 2,547 licensed commercial fishers who do not use gillnets to fish but whose livelihoods are compromised by the indiscriminate and destructive fishing gear. The extended delay also gives life to the persistent speculations that there is a concerted effort by regulators to keep gillnets legal because of the gear’s use in shark fishing. a) The Ministry of Fisheries releases the composition of the members of the Gillnet Task Force. that a meeting be held by Friday, November 30th, 2018.
and any other relevant financial entity to conduct an official investigation into the exportation of sharks from Belize, especially as it relates to economic benefits derived from the trading of shark fins and shark products to the formal economy. by an indiscriminate and destructive fishing gear. Given that repeated requests for the release of data related to gillnet fishing have gone unanswered, on November 13th, 2018 the members of the Belize Coalition for Sustainable Fisheries officially filed a request for all documentation concerning gillnetting under the Freedom of Information Act. In the spirit of transparency, the Coalition pledges to release that information to the public to support ongoing efforts aimed at ensuring that Belizean resources are benefiting Belizeans and the Belizean economy. The Coalition maintains that the 169 licensed Belizean gillnetters can be supported to alternative means of fishing and/or livelihoods to ensure the long-term viability of Belizean fisheries and fishing related jobs. As gillnets are the gear of choice for illegal fishers, coalition members also maintain that gillnet users can play a crucial role in curbing illegal fishing by participating in enforcement efforts given their intimate knowledge of the practice. The Belize National Coast Guard has taken the position that a total ban would make enforcement easier and called for the Government of Belize to ban the use of gillnets in Belizean waters. Gillnets are already banned in several locations, including Marine Protected Areas, the Placencia Lagoon, and along the coastline of Monkey River and Riversdale; however, enforcement continues to be a perennial issue. 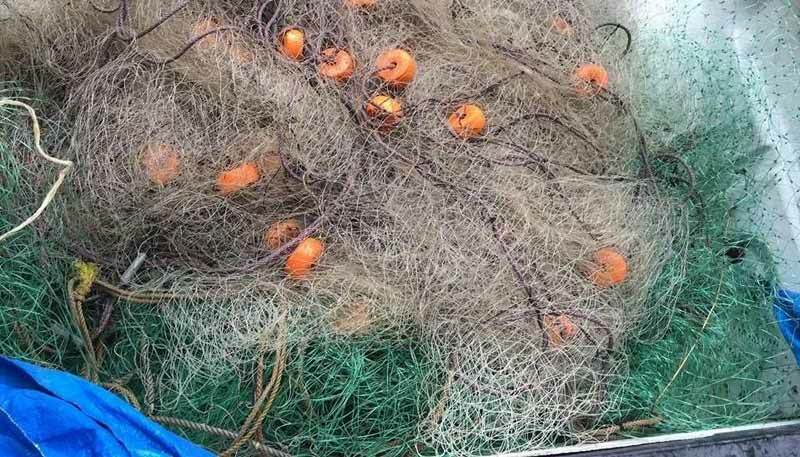 A national ban would ensure that possession of a gillnet, irrespective of who is using the net and where it is found, would result in immediate confiscation and subsequent destruction. The Coalition endorses this position and asserts that if limited financial resources are pooled and properly allocated, meaningful enforcement is possible. A gillnet is a wall-like mesh that hangs in the water column designed to catch fish by allowing only their get to get through the netting but not their body, thereby entrapping them by the gills. The major problem with gillnets is that the are efficient at trapping and killing both desired and undesired fish species, including undersized sharks, and protected species such as turtles, herbivorous fish, tarpon and permit; as long as they fit in the mesh. This indiscriminate nature of gillnets makes them a destructive fishing gear given their ecological impact. Gillnets are also costly from an economic perspective given healthy marine resources support Belize’s most important economic driver, tourism and one of our most important employers, fishing. For more information, contact: Belize Federation of Fishers via 610-1587.